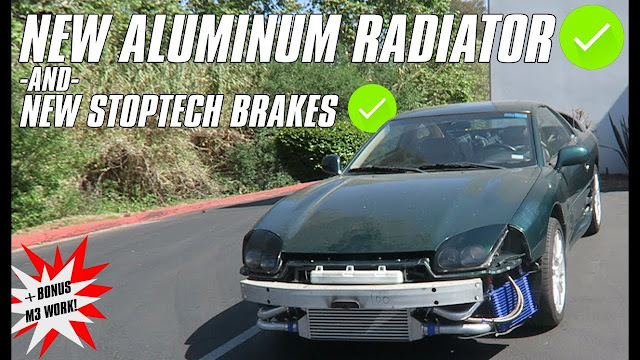 WATCH: In today's video we went ahead and got rid of our absolutely destroyed OEM radiator, and dropped in a brand new aluminum radiator that compliments the Intercooler Kit extremely well, on top of that our friends over at StopTech carry slotted rotors and pads that we went ahead and installed as well. You do not want to miss out on the progress this build is making because it is absolutely amazing! Make sure to enter to win this car, only 55 days left until it goes to one of our lucky VIP's!